One of my classes last year required us to get a Wall Street Journal subscription and write reports on certain articles. As a result, I came to enjoy the paper immensely. My enjoyment did not extend towards paying the student rate of $30 every 15 weeks though. I recently discovered that the Wall Street Journal allows free access to online articles if you are referred from Digg or Google news! 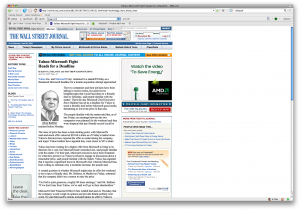 So free WSJ online access is just a referrer spoof away! Add refspoof to your Firefox installation. 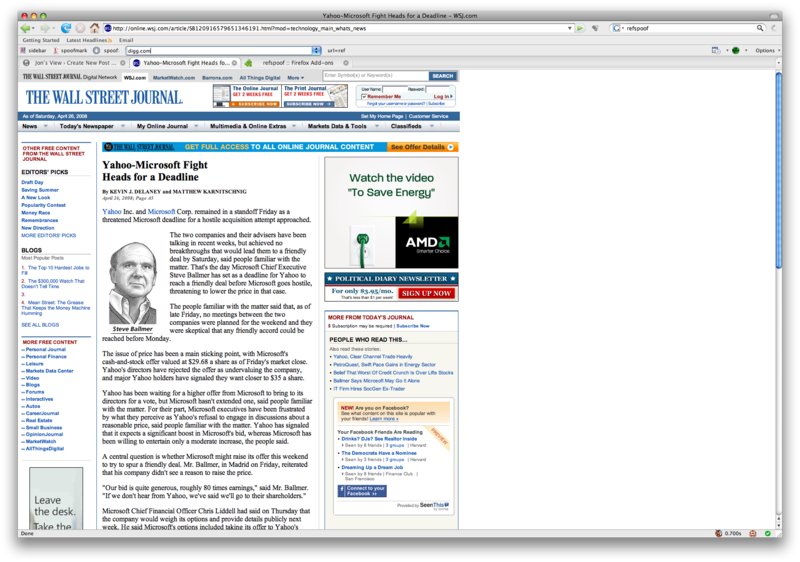 Find a WSJ article that you want to read. Enter digg.com in refspoof’s URL box and click spoof.